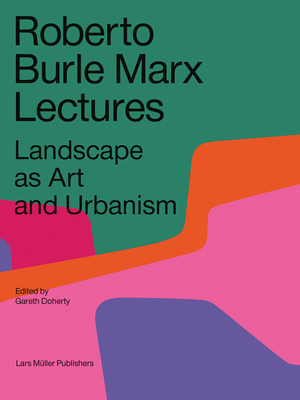 The lectures paint a picture of Burle Marx not just as a gardener, artist, and botanist, but as a landscape architect whose ambition was to bring radical change to cities and society. Gareth Doherty is an assistant professor of landscape architecture and senior research associate at the Harvard University Graduate School of Design, where he is also director of the Master in Landscape Architecture Program. He is author of Paradoxes of Green: Landscapes of a City-State, published in 2017 by the University of California Press. Previous publications include, Is Landscape...? Essays on the Identity of Landscape, edited with Charles Waldheim (Routledge, 2016); and Ecological Urbanism, edited with Mohsen Mostafavi (Lars Müller Publishers, 2010, revised in 2016). Doherty is a founding editor of the New Geographies journal and editor in chief of New Geographies 3: Urbanisms of Color.